Restore the deep, beautiful glow to bronze jewelry and home accents with these safe, chemical-free techniques—and learn how to keep it looking great. 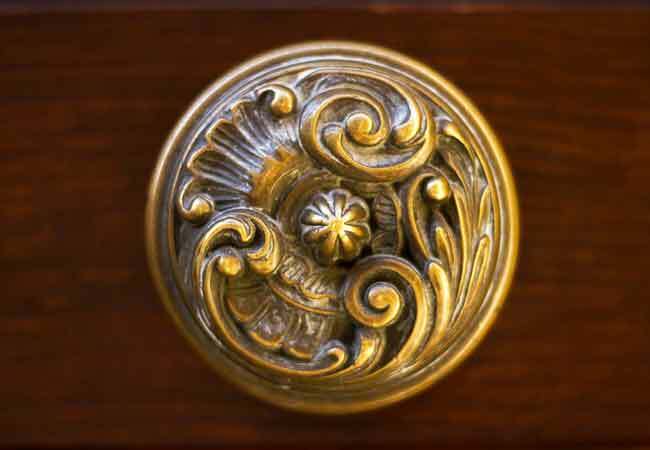 Durable and resistant to water corrosion, bronze has a lovely, warm glow shown off to perfection when crafted into jewelry and such household décor accents as cabinet hardware, vases, and candlesticks. Over time, however, bronze tends to take on a greenish patina—not a surprising development when you learn that bronze is an alloy typically composed of 88 percent copper and 12 percent tin. While some people appreciate the patina—it does impart an air of great age, even if it’s actually a fairly new piece—most prefer to restore bronze to its original glow. 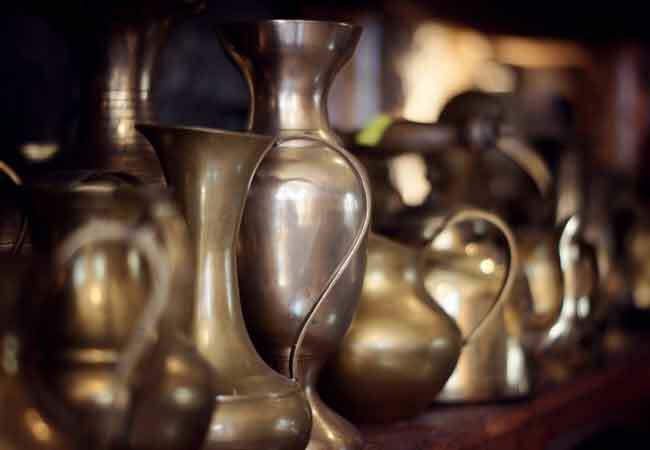 Luckily, you don’t need smelly or potentially caustic chemicals to clean bronze and polish the metal; in fact, you can easily get the job done with just a few household ingredients. Here are two easy and effective methods for how to clean bronze. This first option is fast-working but requires ample elbow grease. First, rinse your bronze jewelry or décor in warm water to remove dust. Wipe the metal dry with a soft, clean towel or rag. Pour two tablespoons of baking soda into a small bowl. Drip lemon juice—either fresh or concentrate—very slowly over the baking soda until the mixture is just wet enough to create a paste similar in consistency to toothpaste. You might see a little bubbling or some fizzing for a minute or two; this is normal. Protect your hands with lightweight household work gloves, and then smear the cleaning paste over your bronze piece, using your fingers if the piece is small or a rag if it is large. If the piece has many nooks and crannies or ornate trim, use an old toothbrush to work the paste into the crevices. With a polishing cloth, soft rag, or scrap of an old T-shirt, work the paste into the metal with small, circular motions. Focus on any especially heavy areas of patina. Continue to rub until you don’t see any more obvious spots. Let the paste dwell on the bronze for half an hour. Rinse the bronze thoroughly under warm water, rubbing with your fingers to remove all of the paste. Gently dry your bronze with a second soft cloth. If patina still remains, repeat the above steps. Apply two or three drops of olive oil to your rag and gently burnish the clean bronze to bring out its muted shine. This plan takes a bit longer, but you won’t have to rub as hard. Rinse your bronze jewelry or décor under warm water to remove dust, and then dry the piece with a clean, soft rag. In a small bowl, combine two tablespoons of table salt and two tablespoons of white flour. Slowly drip white vinegar into the bowl, mixing until the cleaner has the consistency of thick paste. Protect your hands with thin rubber work gloves and use your fingers or a clean rag to rub the paste onto the bronze. Rub in small circles to work the paste over the entire surface of the metal, including any crevices. Let the paste remain on the bronze for an hour or more. Use warm water to rinse away the paste, rubbing gently to remove any residue. Dry the bronze with a soft, clean rag. Apply one or two drops of olive oil to the rag, and then burnish the metal to bring out its shine. • Regularly dust bronze statues and décor. If the dust is thick, rinse the piece in warm water to remove it, and then dry the metal thoroughly with a soft cloth. • Store your bronze jewelry, coins, and valuables that aren’t on display in airtight plastic bags to reduce exposure to oxygen. It’s this process of oxidation that creates patina. • Apply moisturizer, sunscreen, makeup, and other skincare products before putting on bronze jewelry. • Rub your bronze jewelry with a soft cloth after each wear to remove body oils. • Never wear your bronze jewelry into a swimming pool, as the chlorine wears at the metal.